TCFF Review: BOY ERASED Makes Shame Tangible Through Conversion Therapy | Birth.Movies.Death. The review is coverage for Twin Cities Film Fest. As a queer person, I count myself very lucky that I wasn’t born into a fundamentalist Christian community. 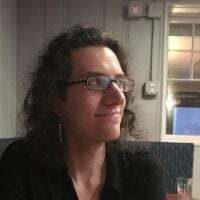 Sure, I have enough Catholic guilt etched into my bones to last me the rest of my life, but to be queer in the insular perpetual motion machine of fundamentalism, to be so convinced of the sinful “choice” of homosexuality that one has to make the choice between their personhood and the only community they know, that is a path I am glad I never had to walk down. This is part of why Boy Erased, based on a memoir by Garrard Conley, hits so close to home for me; it is a look at the lengths young people must go to deny their gay selves through the process of conversion therapy, and through some weighty, nuanced performances, writer-director Joel Edgerton’s sophomore feature makes an impact, if not necessarily a multifaceted one. Jared Eamons (a fictionalized version of Conley, played by Lucas Hedges) is an eighteen-year-old college freshman when he comes out to his parents. His father, a Baptist preacher (Russell Crowe), consults the elders of his church, and the decision is made to send Jared to a conversion therapy program. Staying in a hotel with his mother (Nicole Kidman), Jared spends every day in a secretive program run by Victor Sykes (Edgerton), who preaches that the behavioral choice of homosexuality is rooted in hatred for one’s family and can only be eradicated by embracing hatred of the parts of oneself God cannot love. This strikes a chord with Jared, not because it’s true, but because he recognizes the exploitation of his shame for what it is, forcing him to reexamine whether the program is something he actually wants to participate in. What Hedges is able to capture in his solemn, withdrawn portrayal is the depths of Jared’s shame for being something his community assures him he cannot and should not be. This becomes reinforced in college when his first sexual experience takes a turn for the traumatic, and moments of meditation reveal how Jared sees himself as inexplicably broken and removed from God’s love. This is only further confirmed by a stubbornly authoritarian patriarch, whom Crowe invests with a prideful shame in how his son reflects back on him, yet he still ostensibly loves his son despite his inability to acknowledge the ways he has hurt him. The real MVP, though, is Kidman, whose character walks a fine line between willful ignorance through obedience to her husband’s faith-based decrees and learning to recognize that hurting her child is not the path to helping him. All of these performances are rooted in a deep sense of shame, placing in focus the pain inherent in enforced conformity and forcing each of them to confront their conflicting relationships with their faith and their family. What brings this into focus is yet another mechanism of perpetuating shame through Victor Sykes’ conversion therapy program. Edgerton saves the villain role for himself so he can lay on thick the emotionally and financially abusive atmosphere of his captive enclave, which makes his performance blunt but effective. What at first seems strange and benign, in the form of searches for sinful influences in the family tree and exercises meant to masculinize the more effeminate boys, eventually reveals a much more insidious unified goal, more so even than attempting to stamp out the queerness of these young people. Sykes’ program is built around shame because shame is profitable. Shame in their parents keeps the participants from telling their parents what their money is paying for. Shame in themselves keeps people in the program for longer and longer. Shame is the foundation of Sykes’ monument to hatred, and when his cult gets out of line, he isn’t above staging funerals to tell his students they are going to die from being gay, or bringing in family members to beat a student with a Bible, or holding students against their will when they’ve been pushed too far. Rarely do Sykes or his staff resort to physical violence themselves, but they do not need to, because the product they are selling is emotional abuse, no qualifications necessary. Now, examining this cult and culture of shame is Boy Erased’s raison d’etre, but unfortunately there isn’t much positivity to balance out Edgerton’s portrayal of Jared’s self-actualization. This is based in part on the limited scope of Garrard Conley’s memoir, which makes clear that Conley still suffered from internalized homophobia at the time of writing, but for the purposes of Jared’s individuality, we don’t get to see much affirmation that he is happy to be living his own life. There is plenty to be gleaned from rejecting the lessons of elders no wiser than us, but we get less a sense of what Jared is embracing than we do of what he is rejecting, which feels incomplete for a film about coming to terms with one's queerness. 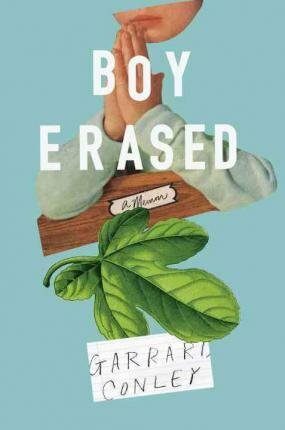 Even so, Boy Erased is a harrowing narrative of needing to choose between one’s well-being and one’s only sense of community, and the examination of that choice's shameful underpinnings is insightful and devastating. As an award-season Big Issue movie, there is still a distasteful element of pain voyeurism in watching young people suffer a modern injustice for two hours, but if one must appeal to the Gods of Golden Statues, Joel Edgerton has made something worthy of our attention.